The firm of Ronald W. Angland & Son was established in 1992 when John Angland joined his father (Ron), in partnership. Leeston-based law firm Ronald W. Angland & Son has been providing legal advice and services to the people of Canterbury for over 45 years. Whilst the firm celebrated its 20-year anniversary in July, its history dates back to 1966 when Ron Angland moved to Leeston with his young family. Previously a solicitor with the Public Trust, Ron went into partnership with Hill Lee and Scott, working in premises next to the original jeweller's shop in High St. He was resident partner until he left to practise on his own account. He opened a law office in Hornby in 1988. 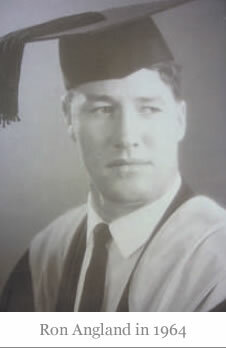 During this time his son John Angland was a student at the University of Canterbury, before being admitted to the High Court as a Barrister and Solicitor in 1985. Initially, John worked in Wellington as an in-house solicitor for a public company, but moved to Tai Tapu where he has been living since 1992 with his family. John joined up with his father at that time and together they formed the law firm, Ronald W. Angland & Son. John ran the office in Christchurch with Ron working at the office in Hornby until Ron's untimely death that same year, at the age of 58. John then opened the Leeston office in the old Farmer's building and was at the time travelling out on a Wednesday. 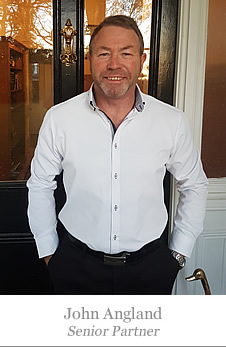 For the first 10 years of the firm's existence he worked part time at this office before deciding in 2002 that he could better serve the communities of Leeston, Ellesmere and Selwyn by working full time at premises more convenient to them. He says many people still don't realise that the Leeston office is open weekdays during normal business hours, and has been for the last decade. Appointments can be made for visits to other places such as residences and rest homes. Over the years the business has grown, built upon the large amount of goodwill that existed in the community for Ron Angland. During his time in Hornby a number of clients were prepared to drive the distance to get legal advice from him. 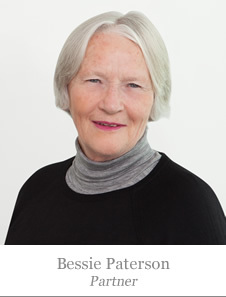 Bessie, a senior solicitor, joined the firm in 1995 and became a partner in 2007, while Barbara was Ron's legal secretary and trust accountant, joining him at Hornby in 1988. 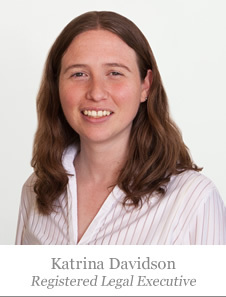 Registered legal executive Katrina Davidson started with the firm on 27 November 2000 and operates the Leeston office alongside John. Between John and Bessie, clients have access to more than 50 years' experience, although the combined amount of legal experience among the four – John, Bessie, Barbara and Katrina – is close to 100 years. Clients have access to at least 10 years' experience when they contact any member of the team. "We've been around a long time and plan on being around a lot longer," John says. "We might be a small firm in terms of staff numbers however we handle a lot of work. 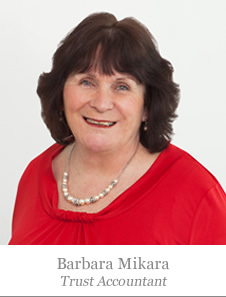 The focus is on the whole team and our long history is due to some very dedicated and long-serving staff, like Barbara. In business, stability makes a difference. The people who work for the firm are both stable and experienced." He adds that the team knows their clients well and the clients get to know members of the team just as well. The firm makes good use of technology, with the internet enabling efficient access to both international clients and those outside of Christchurch. "Internet use enables you to keep your clients informed promptly as to what's going on and to process transactions efficiently," John says. "It helps us be cost competitive – and we have to be cost conscious for our clients." There also exists a well-established network with other law firms, which has proved very valuable for the firm as well as for the firm's clients. The relationship with a number of large urban law firms helps provide specialist legal advice in areas such as investment, litigation and immigration. Besides offering the full range of legal advice and services, Ronald W. Angland & Son also provides a legal service by phone which is available to anyone. Legal advice is given over the phone with the fee being charged to the caller's phone account. "This is an efficient mechanism for delivering immediate legal advice, especially for rural people," John says. "They are often very busy during the day and this service saves them from having to leave their farm, home or business to see a lawyer in person to obtain legal advice." The service can be accessed by dialling 0900 LAWYER if you have "something legal on your mind".